Avery Dennison has launched M_use, a new digital platform to inspire innovative design for label and packaging designers and converters. M_use, short for ‘materials in use’, is a community where users can find inspiration as they experience the attributes of a label application – from technical to tactile – as well as discover more about the science behind the design. ‘M_use combines inspirational design content with the materials science expertise of Avery Dennison. It’s an easy-to-use interface that shows the magic of materials in use,’ said Angus McGuffin, global creative director at Avery Dennison. The site features an online library of materials. Users get a 360-degree perspective on the texture, color, tactility and printability. They also can access bespoke content created in collaboration with industry experts that covers insights, trends and creative design inspiration. ‘We see M_use as a digital swatchbook for our converters as much as an inspirational resource for designers. 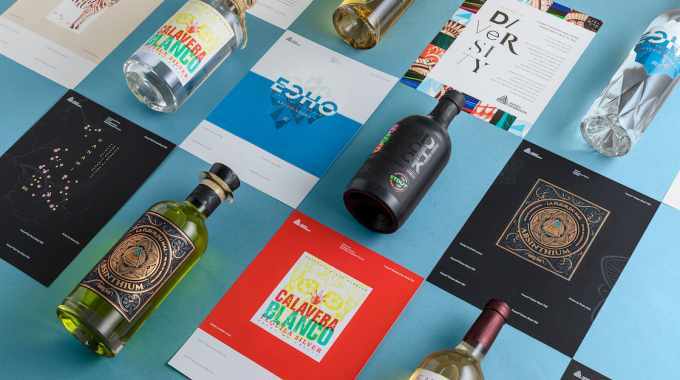 Creatives can download and design on high-resolution images to see the material in use before ordering a sample,’ said Ralph Olthoff, global marketing director for wine and spirits at Avery Dennison. ‘Powered by Avery Dennison, M_use leverages our deep knowledge of materials science and our love and curiosity for design to bring an inspiration-to-production, full-circle experience to designers, brands, and label printers,’ added McGuffin. The site launched with a focus on the wine and spirits industry and will expand into additional segments. To learn more and to register for M_use Monthly, visit ​my-muse.com.